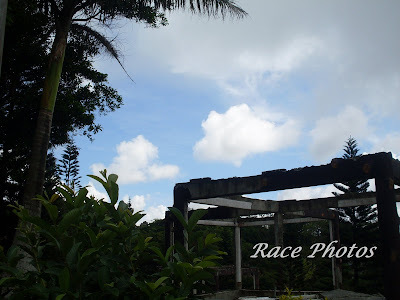 This is a shot of the sky over the old abandoned building in Tagaytay's Picnic Grove. Well it's actually a wrecked building which was full of air conditioned rooms in the past. Maybe the management have future plans for it but seeing it there reminds me of good times in the past when DH and I were singles. We used to have summer camp meeting fellowship in this place with our family and brethren. All of the abandoned buildings were still small hotels then and many tourists and vacationing families are renting there to spend a day or two to relax and have a peaceful day in the scenic place. Many changes have happened in this area but whatever changes it may have now this place will always have sweet memories for me. I love sky watching wherever my cam takes me. It makes me very thankful of God's wonderful creations. 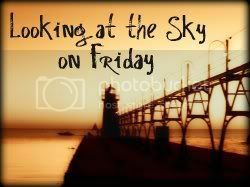 Visit more beautiful sky photos just click on the badge above! That is a really great shot of the sky and the old ruin.